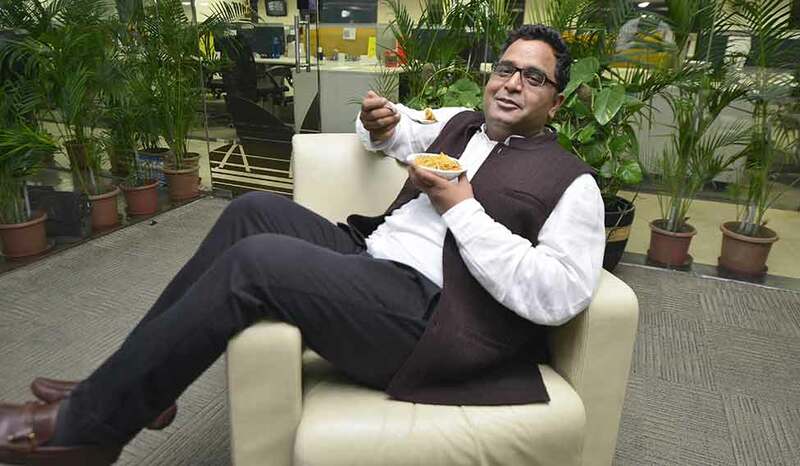 Hailing from the small town of Aligarh, Vijay Shekhar Sharma, the son of a govt. schoolteacher, left his hometown in search of a beacon of success at what seemed to be the end of the tunnel. The statement is duly justified by the fact that he had lived through his academic years, widely exposed to Hindi as a medium of education and he ventured forth towards an alien territory. His father was the sole breadwinner and the family got by on his meagre income. Having taken in by the Delhi College of Engineering, the joy was short-lived and a spate of disappointments would follow. Spurred by the undying spirit to beat the odds of realizing his dreams, however, he strode forward unknown to the challenges awaiting him before he set the foot on the final frontier. As the time passed by, his tryst with post-school education came off to be a challenging proposition. Until he was thrust into the limelight by his less-thought-of endeavors in the world of payment ecosystem, Vijay Shekhar Sharma found himself stranded in the hustle-and-bustle of Delhi but held up against the straining transition to the big town. Nowadays Paytm is the household name for easy transactions. At the initial days of his schooling he faced many problems because his medium was Hindi but he decided that to be active in this world English is the best medium to learn and earn. Although a lot was in disarray, his struggles with English and the rigors of engineering college topping it off, he pulled himself together every time the going went tough. After English, he learnt all the coding by himself as his financial conditions were not permitting him to learn from expensive courses. Vijay Shekhar Sharma, on the flip side, decided to dust himself off and committed the time at his disposal to master his coding skills. He started his own content management system and by the time he got his first job in an MNC. Anybody in his place would have been resigned to failures and embraced the destiny. Vijay Shekhar Sharma was the youngest kid to enter college as he finished hi XII by age of 14 years. Before turning 19, he was Engineer. However, as he did not have good command over English, gradually he was among backbenchers. The Technology of this world has inspired him a lot and therefore he decided to follow Sabeer Bhatia. This inspiration motivated him to lead his life towards success. With the help of classmates he opened his own company but before that he used to work in MNC and later on quit his job within six months due to his future aspirations. It was quite unfortunate that the friends on whom he trusted left him alone as his company was bankrupt. Even though he never lose his heart and began to walk on long distances and sometimes skipped meals also to meet the deadlines and decided to revive himself from heavy debts with proper planning. He was underprivileged to even afford bus in those times, so he walked for 14 kms sometimes while returning home. He has also expressed feelings that selling bus tickets on Paytm was emotional touch. Even though being left on the verge of financial meltdown, when he was cheated out of around Rs.3.2 Lakhs from Rs. 8 Lakhs he had drawn down with his partners, he never yielded to unfortunate events. Finally, the balances were titled in his favor when he started up One97, the parent company of Paytm, back in 2005. The company geared its activities towards breaking the mold of advertising and e-commerce.